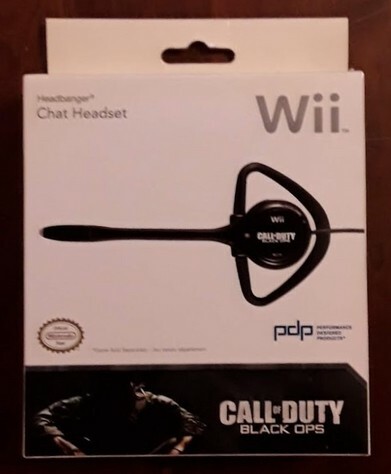 Official Nintendo chat headset by PDP is new with manual but box is a bit faded at the top and has a few scratches on the back of the box. $40; best condition at Amazon is only very good. I have the game in another listing for $15.